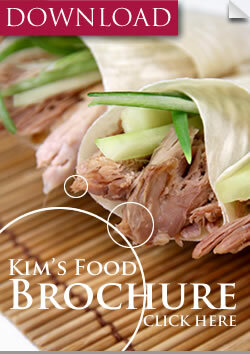 Kim’s Food has once again return to participate in the International Food & Drink Event London Excel, from 13th – 16th March 2012. We are alongside top leading food manufacturers across the UK congregate. Come and visit us, our stand number is S4421 in the South Hall. The IFE 2011 was a remarkable success for us with special acknowledgement to our well-known Chinese pancakes. The great feedback received on our batter-coated products has given Kim’s Development Team an injection of confidence to continue on from our standard range, which meant we were able to create more exciting and bespoke products to fulfil all our customers’ requirements. The IFE is a special occasion where we particularly look forward to engaging with our customers and business partners. It is also a great opportunity to discover exactly what we are all about for any new customers who have not yet had the chance to experience our carefully created products, or meet Helen and Kim who are our directors at Kim’s Food. Throughout the three day event, we will be serving samples to show visitors how easy it is to handle our products yet retaining restaurant standard. We are planning on cooking traditional ethnic dishes such as Prawn Toast, Pancakes for Crispy Duck, Crispy Chilli Beef Strips and our latest product: Smoke Flavoured Chicken Strips. We aim for visitors to have an opportunity to try our food and to show them what we are achieving. The food will be very representation of what our flavour is about. Don’t miss out on what is shaping up to be a great event at the IFE 2013 and be sure to stop by Kim’s Food stand number S4421 to see what we have to offer you.